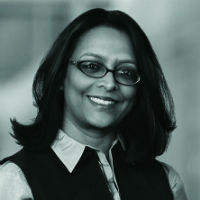 Anita Varma is an intellectual property partner based in White & Case’s Boston office, with a dual practice in London. She is qualified to practise before the US Patent and Trademark Office and the European Patent Office. Varma provides strategic patent counselling to life sciences industry companies, guiding them through every stage of the patent life cycle. She works with clients in obtaining enforceable claims and supporting them in post-grant proceedings, as well as in developing and executing offensive and defensive patent strategies. She also conducts strategic review of patent portfolios to identify strengths and weaknesses, and opportunities to minimise threats and maximise revenue.